Boston is a beautiful historic city that offers much to those who live there and much to those who visit. The harbor is breathtaking year-round. The old buildings are a testimony to days gone by and give a feeling of permanence, unlike many other American cities. The humid continental climate means that Boston enjoys 4 very distinct seasons. It is snowy and cold in winter, warm and humid in the summer and quite comfortable and scenic in both the fall and spring. Boston is very much “The Walking City”. Traffic is generally heavy and parking is at a premium, therefore it is much more expedient to get around on foot or by bus, water shuttles, trains or the subway system referred to as the T. What this translates to for fashion is the fact that typically people need to truly dress appropriately for the seasons Also, you will more often see sneakers and comfortable walking shoes on the streets of Boston than other more fashionable footwear. Winter in Boston dictates warm clothes. Drafty old buildings mean that even if you are inside you will want the advantage of a warm sweater and long pants or tights. If you venture outside, a heavy winter coat is a necessity. Waterproof outerwear is also highly recommended especially during snow storms. Remember gloves, hats, earmuffs and scarves, as well as insulated winter boots with a good rubber sole for traction when walking. Summer in Boston is perfect for shorts and T-shirts, Capri pants, summer dresses or any lightweight ensemble. Expect warm temperatures but be prepared for air conditioning inside with a light sweater. Remember to wear comfortable shoes if walking. Fall and spring are well-loved seasons in Boston. The temperatures are typically comfortable enough to not need to worry about needing extra layers of clothes. It is also not uncomfortably warm. Both seasons are great for getting outside and enjoying the changing scenes of nature, while in comfortable jeans and a T-shirt or sweater. A light jacket on windy days or a rain coat on rainy days is all you’ll need. Sports are huge in Boston and the city is home to a variety of professional sports teams. What this means for fashion is that it is fashionable to wear any Boston team clothes for any casual event. In fact when home games are being played, team colors are seen everywhere throughout the city. 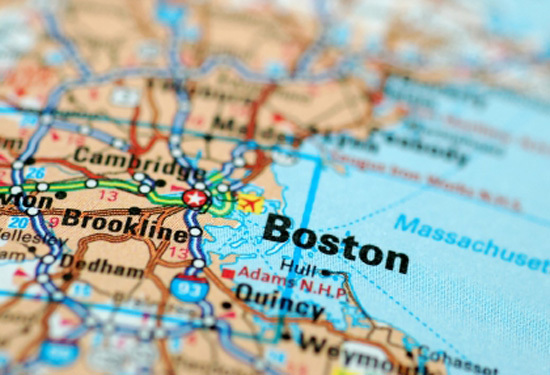 Boston is very much a hub for post-secondary education and medicine. Some of the best hospitals in the country are there, as well as top colleges and universities. The abundance of college students living in the Boston area means that fashion in the city is greatly influenced by that demographic. Casual fun looks, jeans and the hot trends of the moment are commonly sported by Boston students. Preppy looks and business casual is also very popular amongst faculty and young professionals in New England’s biggest city. Heading to Boston? Check the local forecast before you pack your suitcase.